Barcelona is a city with incredible places. Luckily, it has many sites that offer spectacular views of the entire city. From Midtown Luxury Apartments we want to talk to you about the best viewpoints in Barcelona. 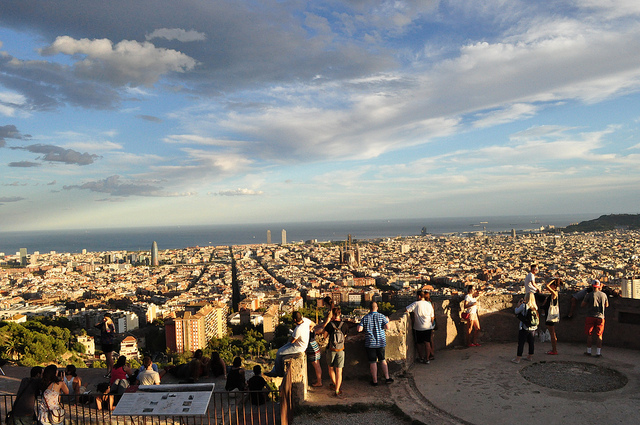 And for that reason, we have made a list of 6 places where you can enjoy the views of Barcelona. 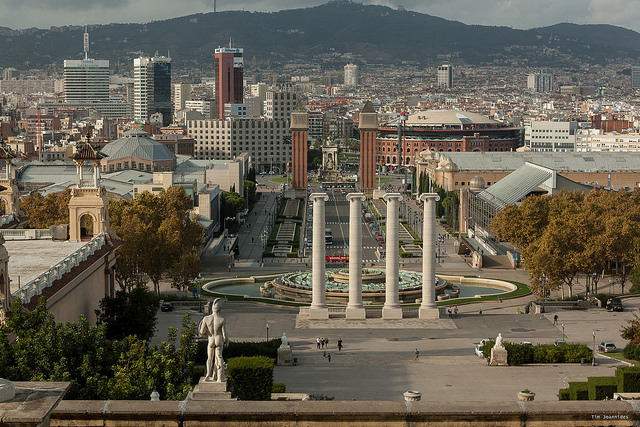 The National Art Museum of Catalonia has 2 terraces on the rooftops of the Palau Nacional. 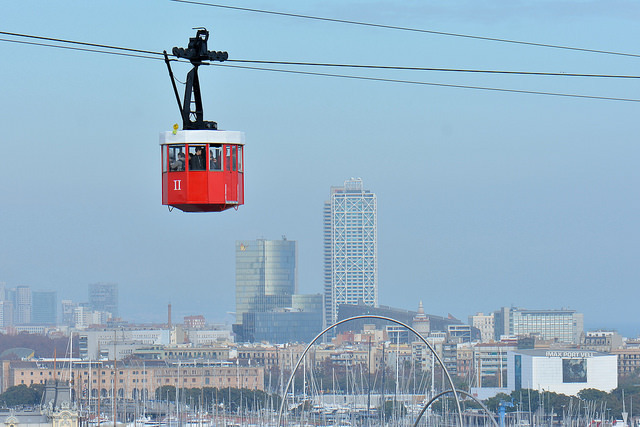 In fact, these allow you to discover a 360º view of the city. In addition, on one of the terraces, there is a bar where you can have a drink while enjoying the breathtaking views. Tibidabo Park is the highest mountain range in the Collserola mountain range. 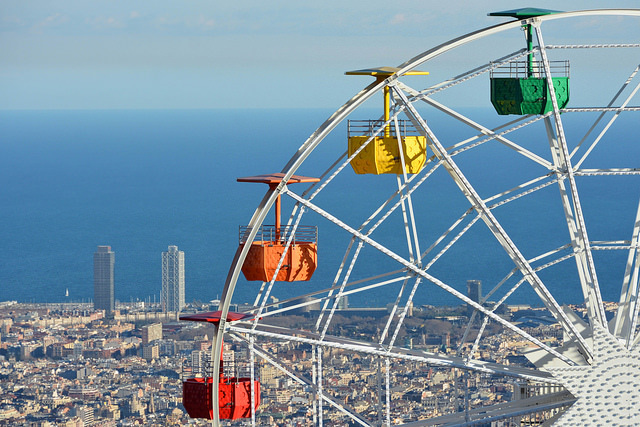 From the Tibidabo amusement park, you can bird's eye view of the whole city and see the neighbouring towns of Hospitalet, Badalona and Mongat. So if you want to enjoy the views over a drink, Mirablau is the perfect bar, restaurant and nightclub to do it. El Arenas Barcelona, an old bullring, converted into a shopping centre, has a terrace with beautiful views. The upper part is circular, and in the centre there are different bars and restaurants. Access can be via the escalators of the shopping centre or from outside with an elevator paying the cost of 1€. The cable car was built in 1926 and crosses almost 1300 meters in about ten minutes. It runs from the tower of San Sebastián, in the Barceloneta, to the Jaime I Tower next to the World Trade Center. To enjoy the magnificent views from the cable car, you must pay. The price of the outward journey is €11 and €16.50, the return. The Park Güell is an emblematic space of the city of Barcelona. It was declared a World Heritage Site in 1984. In addition, it is a unique architectural and landscape work in the world. 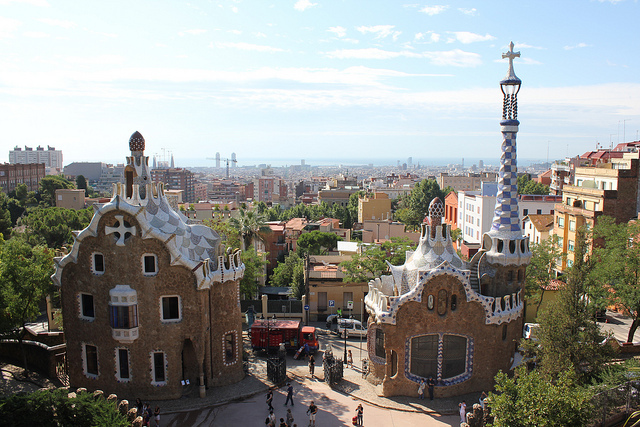 If you come to Barcelona to visit the Park Güell is a 'must' that you can not miss. So in order to enjoy the beautiful park and the views from the highest point of Barcelona you must pay the entrance fee to the park which is around 7€. Located in the Turó de la Rovira, there is a viewpoint with various bunkers from where there are panoramic views of Barcelona. It is currently one of the most visited viewpoints in the city by tourists. As for the favorite plan in the bunkers of the Carmelo, is to climb with a few beers and contemplate the entire city Condal and surroundings. In short, these are the places with the best views of the whole city. Remember, if you come to visit Barcelona, the best apartments are Midtown Luxury Apartments. 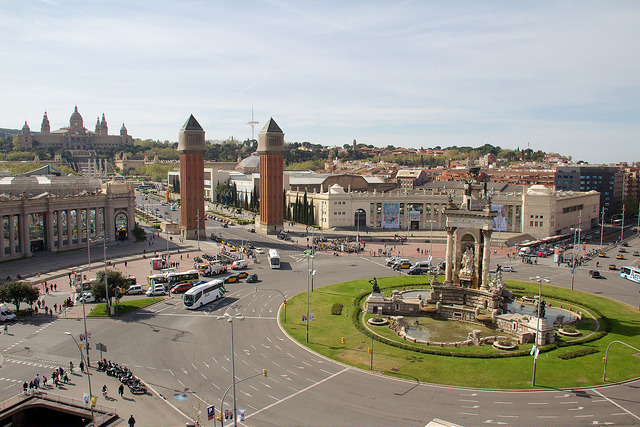 In addition, they are only a 10 minute walk from Plaza Cataluña. Come and discover Barcelona.